Mortem Vetus are proud to present Skull Spires, a collection of unusual, quirky skull props. This distinct and unique set takes piles of skulls to new heights. 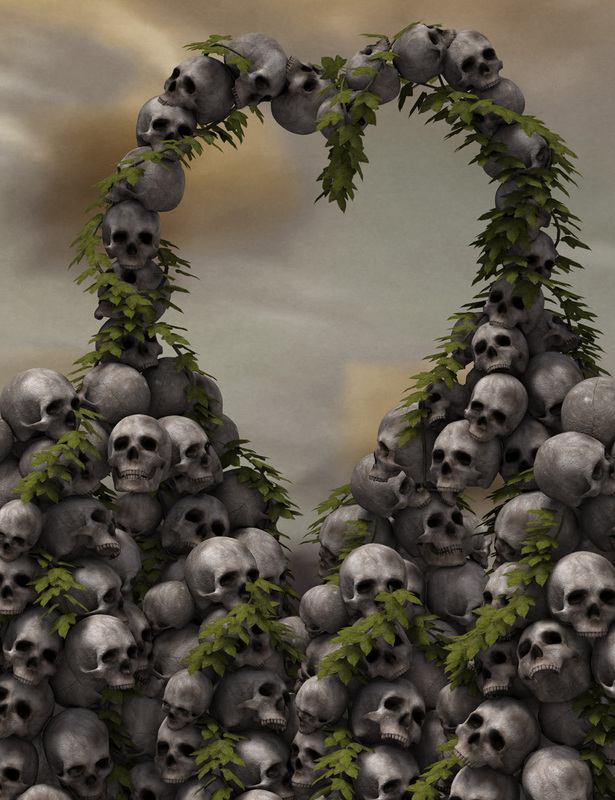 Each of the props features numerous skulls, piled up and intertwined with ivy. Use individually for a touch of darkness in your scene, or fill the scene with lots to create an entire morbid landscape.